Our friends over at the Edgewater Historical Society just discovered this neighborhood gem and sent it in. 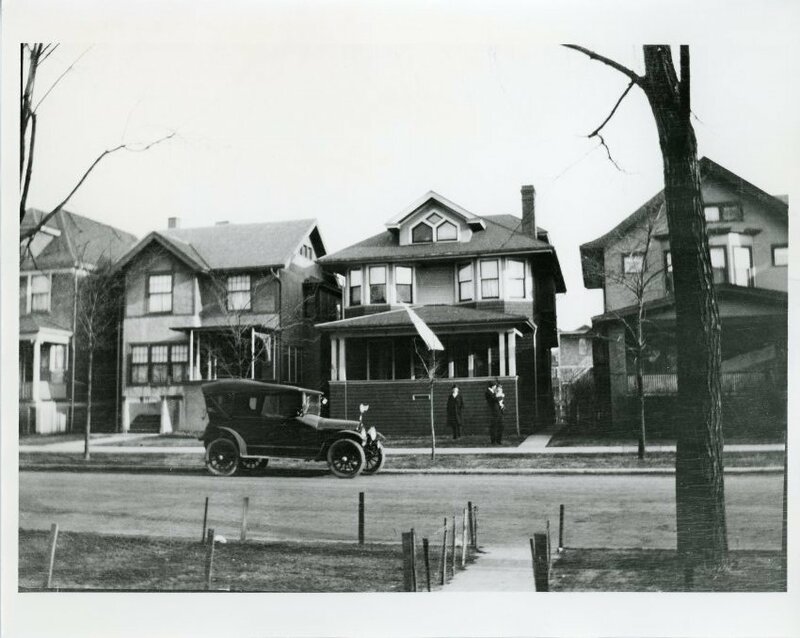 The photograph was unlabeled but after doing some detective work they were able to determine that the houses shown here are on Glenlake between Glenwood and Broadway (1265 & 1303 Glenlake specifically). Judging by the car in the photograph it appears this must have been what the neighborhood looked like in the 1920’s. It looks like these two houses are currently sandwiched between our Glenlake Branch Library & the wonderful purple house. Such a great find guys.